Casting has been announced for the return of Eugenius!, which returns to The Other Palace on 1st September and runs until 7th October. 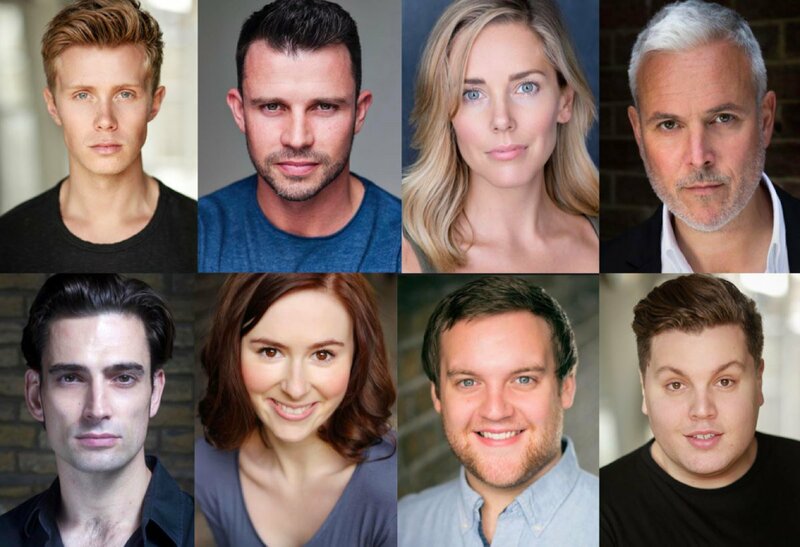 Joining the production are Rob Houchen (Les Misérables) who will play the lead role of Eugene, Neil McDermott (Shrek the Musical) as Evil Lord Hector, Emily Tierney (Wicked) as Carrie / Super Hot Lady, Alex Bourne (Annie) as Lex, Simon Thomas (The Phantom of the Opera) as Gerhard / Toughman, Christopher Ragland (Little Shop of Horrors) as Eugene's Dad/Lord Tough Man, and Tom Senior (Grease) as Stock Jock/Flock of Eagles Singer. Laura Baldwin (Big Fish), Dan Buckley (Loserville), Scott Paige (Addams Family) and Alison Arnopp (Dusty) will all return to the show, with the cast being completed by Titus Rowe, Alex Tranter, Ben Darcy, Dilllon Scott-Lewis, Lauren Cancannon, Amy West, and Sasha Wareham. Brian Blessed will once more lend his voice to the show. After a concert performance at London's Palladium, Eugenius! had a full-length run at The Other Palace earlier this year. Written by Ben Adams and Chris Wilkins, the coming-of-age musical tells the story of Eugene, a teenage boy obsessed with sci-fi and fantasy who decides to create his own comic book movie. Ian Talbot directs the piece, which has choreography from Aaron Renfree, musical supervision by Stuart Morley, musical direction by Darren Lord, sound design from Dan Samson with original sound design by Gareth Owen, lighting from Andrew Ellis, casting by Jim Arnold. The show runs from 5 September to 7 October with previews from 1 September. Producer Warwick Davis said: "We've been busy tweaking, tickling, tightening and super-charging the show. So if you missed Eugenius! last time this is your chance to finally see what the buzz is all about. And if you were one of the wonderful, crazy fans who saw it many times, we look forward to welcoming you back again - especially as we have added a new song to the 80s-inspired soundtrack that had audiences on their feet at every performance punching the air and shouting in unison, ‘Go Eugenius!'."